You will find below the horoscope of Ali Liebert with her interactive chart, an excerpt of her astrological portrait and her planetary dominants. If you know the time of birth of Ali Liebert, we would appreciate it if you would send us your information with your source, at stars@astrotheme.com. To thank you for contributing to the enhancement of our astrological database, we shall be glad to send you the astrological portrait (34 pages) of this celebrity. Horoscopes having the same aspect Mars square Pluto (orb 0°06'): Scarlett Johansson, Drake (entertainer), Nicki Minaj, Oprah Winfrey, Coluche, Bruce Lee, Penélope Cruz, Muhammad Ali, Antonio Banderas, Lorde, Roman Polanski, Jean-Pierre Danel... Find all the celebrities having this aspect. Horoscopes having the same aspect Sun square Uranus (orb 1°28'): Shakira, Paris Hilton, Michelle Pfeiffer, Kate Moss, Stephen King, Yasmine Bleeth, Lenny Kravitz, RuPaul, Joseph Gordon-Levitt, Rob Kardashian, Christina Ricci, Brooke Shields... Find all the celebrities having this aspect. Celebrities clicked on in real-time: 576,767,785 times. Alison Dyan "Ali" Liebert (born August 20, 1981) is a Canadian actress and producer. Ali Liebert is a British Colombia native, born in Surrey and raised in Duncan. She has had a keen interest in performing from a young age. After graduating from high school, Liebert attended the Canadian College of Performing Arts in Victoria for two years before moving to Vancouver to pursue her dream of becoming a successful television and film actress. Her television credits include roles on Fringe, The L Word, Kyle XY, and a recurring role on Intelligence. In 2008, Liebert was cast as a lead in Sook-Yin Lee's film debt, Year of the Carnivore, the Cuba Gooding Jr. Here are some character traits from Ali Liebert's birth chart. This description is far from being comprehensive but it can shed light on his/her personality, which is still interesting for professional astrologers or astrology lovers. 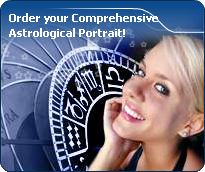 In a matter of minutes, you can get at your email address your astrological portrait (approximately 32 pages), a much more comprehensive report than this portrait of Ali Liebert. Warning: when the birth time is unknown, which is the case for Ali Liebert, a few paragraphs become irrelevant; distributions in hemispheres and quadrants are meaningless, so are dominant houses and houses' accentuations. Therefore, some chapters are removed from this part. Cheers for communication and mobility, Ali Liebert! The predominance of Air signs in your chart favours and amplifies your taste for relations and for all kinds of short trips, whether real (travels) or symbolic (new ideas, mind speculations). You gain in flexibility and adaptability what you lose in self-assertion or in pragmatism. Like the majority of Earth signs, Ali Liebert, you are efficient, concrete and not too emotional. What matters to you is what you see: you judge the tree by its fruits. Your ideas keep changing, words disappear, but actions and their consequences are visible and remain. Express your sensitivity, even if it means revealing your vulnerability. Emotions, energy and communication must not be neglected; concrete action is meaningless if it is not justified by your heart, your intellect or your enthusiasm. After this paragraph about dominant planets, of Ali Liebert, here are the character traits that you must read more carefully than the previous texts since they are very specific: the texts about dominant planets only give background information about the personality and remain quite general: they emphasize or, on the contrary, mitigate different particularities or facets of a personality. A human being is a complex whole and only bodies of texts can attempt to successfully figure out all the finer points. Ali Liebert, it is impossible to hide it: to love, to be loved and to please, all these activities are at the centre of your life. Because you loathe solitude, you are constantly looking for company, and if possible, for an amorous company. It does not mean that you are full of passion all the time: you are refined, delicate and charming and you skilfully make use of customs with moderation and balance, without losing sight of your personal interests. You are ready to adjust and to compromise in all circumstances. You want to love and to remain integrated in your society: love gives precedence to propriety, which is fundamental to you. You are particularly gifted for this game of refined courtesy and politeness where appearances are at least as important as contents; you are able to show what you feel like showing and you achieve your ends with elegance, gentleness and goodness. These are precisely your main assets. It is difficult to find a more sensitive person than you, Ali Liebert. You are able to contain your aggressiveness and it may be hard for you to exteriorize your feelings. You are usually passive and you draw your strength from inertia and resistance more than from the will to take action. Your mood is changing, you show little of yourself and you may surprise with your inopportune reactions that come late, when people have forgotten what it was all about. The only area where you express yourself with zeal and where your actions are successful is the area of home or, more symbolically, in the fields where you can achieve security. In other words, you need to feel comfortable before you can move, in concrete matters as well as in sexuality. This text is only an excerpt from of Ali Liebert's portrait. We hope that it will arouse your curiosity, and that it will prompt you to deepen your knowledge of astrology, as well as to visit and use the wide range of free applications at www.astrotheme.com. Your Life Path is influenced by the Master Number 11, Ali, which indicates a strong, demanding, and uncompromising destiny. It is all about revelation and early calling. You feel that you are entrusted with a mission, with the certainty that no setback could endanger it, and your own certitudes prevail over any other motivation. You have a lot of strength, and sometime, intransigence. Short-lived fashions and life vagaries cannot weaken your beliefs. You pursue a set direction, in quest of an extraordinary destiny, with the help of your intelligence, your inspiration and the natural influence you have over people. Even though your entourage may not always understand your secret determination and perceive you mainly as an impatient person, your fortitude overcomes many a doubt and obstacle. You can sacrifice everything for the sake of your deep aspirations.